The 2Nd generation Nest learning THERMOSTAT has a new, slimmer design, is enclosed by a solid stainless steel ring, and Works with 95% of low voltage systems. The Nest learning THERMOSTAT learns what temperatures you like, turns itself down when you’re away and can be controlled from anywhere over Wi-Fi. 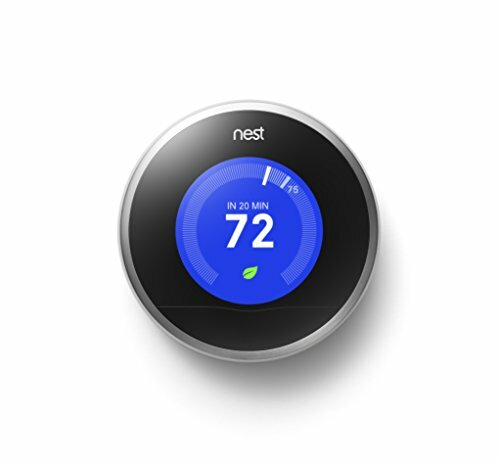 By programming itself, the Nest THERMOSTAT can save up to 20% on your heating and cooling bill. You just have to teach it well.